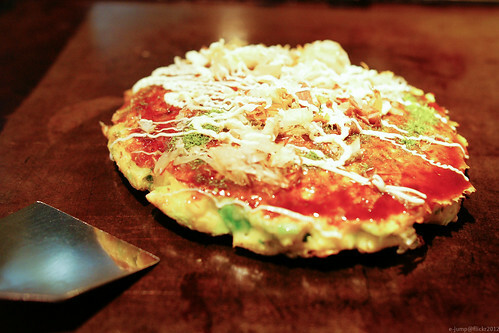 Okonomiyaki, originally uploaded by e-jump. One of few foods you must try once in Kansai. Yes, it should be a law that you must have Okonomiyaki in Kansai! If you’re interested in loads of information about Okonomiyaki – history, recipes, ingredients, etc. check out http://okonomiyakiworld.com. Great photo, btw! What’s up it’s me, I am also visiting this web page on a regular basis, this website is really good and the people are really sharing good thoughts.